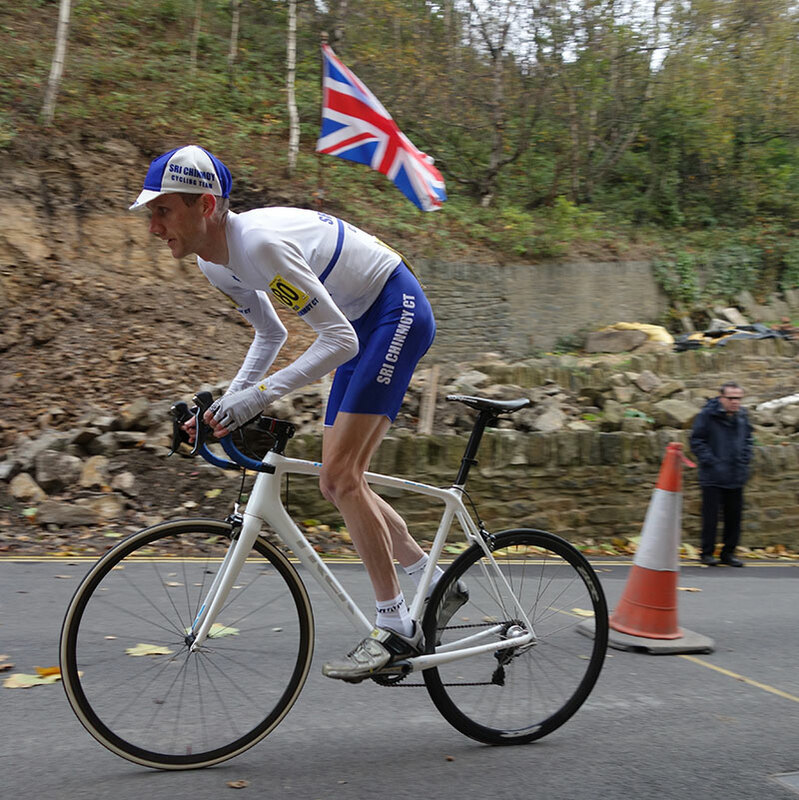 The 2014 national hill climb championships was held on the closed roads of Pea Royd Lane. – ably promoted by Stocksbridge CC. Like 2009, there was a strong tailwind, and this year there was also a very nice smooth, recently resurfaced, road surface. As the organiser, Stewart Smith said – perhaps the only road in the Sheffield area to be resurfaced – so we were treated very well. 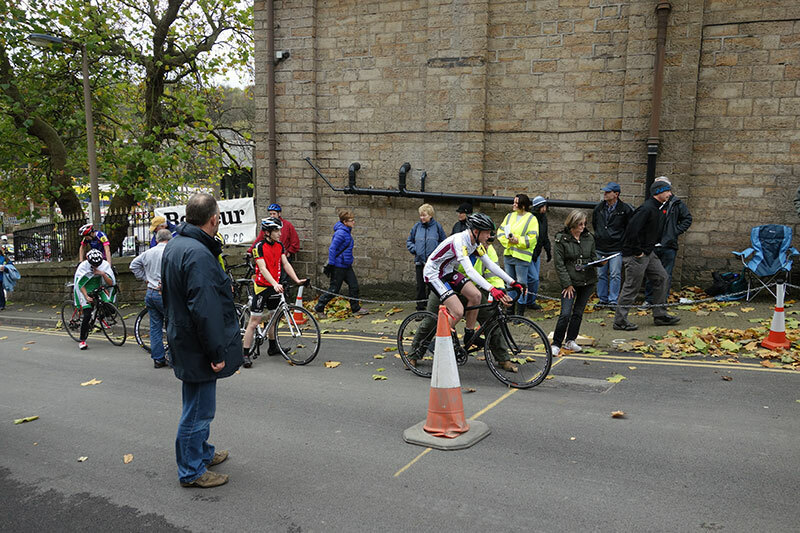 A bit of Tour de France fever still lingered over into this late October event. I think the crowd was quite a bit more than 2009. – There was certainly a great wall of noise up the last half of the climb. Photo Dan Monaghan. The last section of Pea Royd Lane. 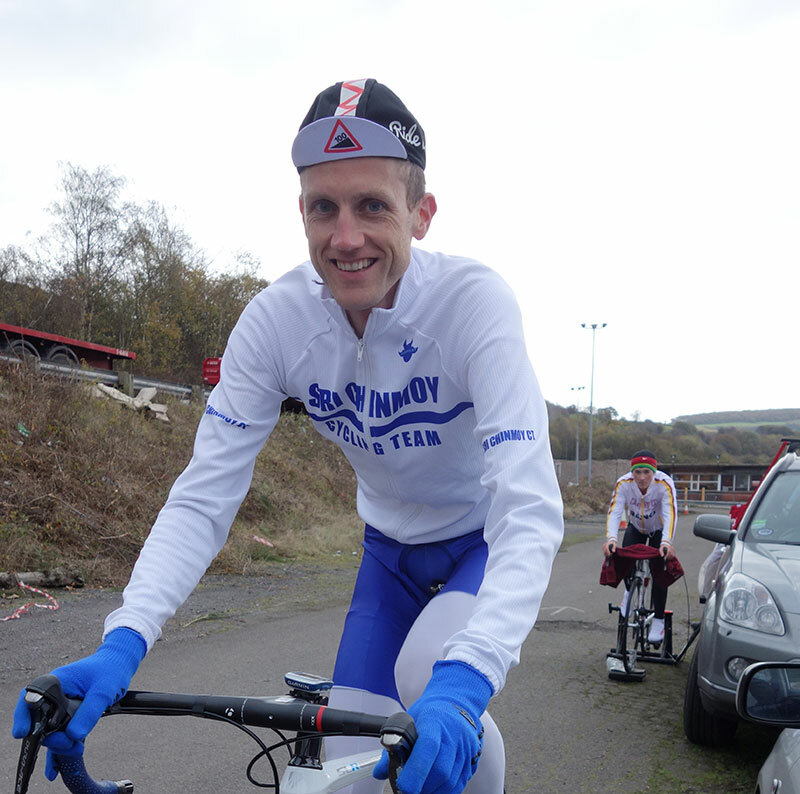 Also pretty impressive ride from hill climb stalwart Chris Myhill Peak RC – 3:51.1 – 18th place at 48 . Pete Tadros was top vet in 3.49. 17 Harry Luxton RuTrainingToday time of 03:40.6 – 9th place overall and 1st junior was also another impressive ride. 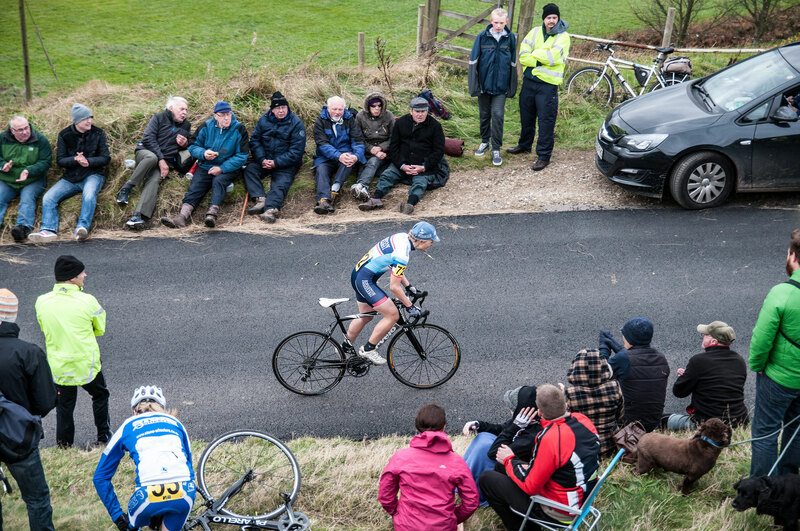 It has been a great standard of hill climbs this year. Even setting a course record hasn’t always been enough to get a first place. 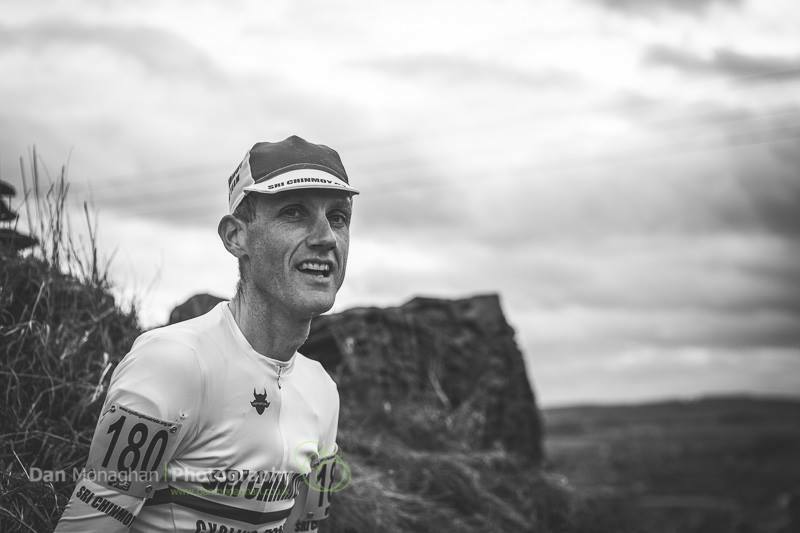 Like Mow Cop, where M.Clinton held a course record for 1.8 minutes, and Horseshoe pass where I went faster than a CR (previously held by Dangerfield, Boardman and Dobbin) only to find Dan Evans had gone 10 seconds quicker in 8.52. It’s also great to see entries for hill climbs on the rise. The organiser received nearly 280 applications for 180 places – making a difficult start sheet to devise. When did hill climbs become so popular? As reigning national champion, it’s been a great year and I’ve enjoyed riding the national jersey at events up and down the country. Since May, I’ve done 16 hill climbs, which is quite a lot! I’ve won 13 opens and set 7 course records – not a bad record. 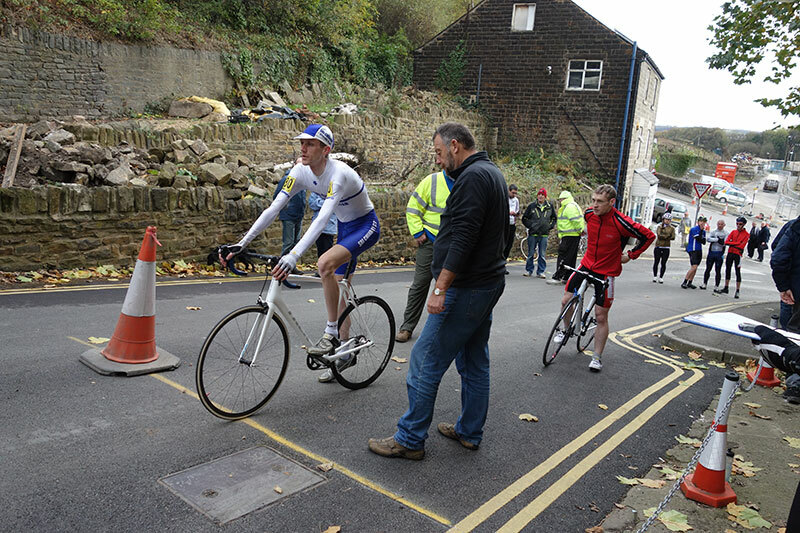 But, it’s the national hill climb championship which is the big draw. Once you’ve won it once, you would like very much to get back on top. Last night I had a vivid dream that I finished 4th in the national hill climb championship. Although I tried my best to forget, what proved to be an irritatingly prescient dream, I didn’t have the same hope as last year – when I was virtually unbeaten in the lead up to the championship on the Stang. Before the race, I also caught up with old OUCC teammate – and five times national champion Jim Henderson – my family also had come out to watch. I had a good warm-up and felt much better after riding the bike – (much better than waiting around waiting for event to start). I felt good on the start line and made a steady start and tried to lift the pace all the way up. It was much faster than in training and it all seemed to go in a blur. I don’t remember thinking about anything, I was just really in the flow. There was a lot of noise and enthusiastic encouragement. It all seemed to be over pretty quick. The tailwind finish was different to when I’d done it in training. Sitting at the top of Pea Royd Lane. Photo Dan Monaghan. I sat in the grass at the top for a bit as people took some photos as I lay in the grass. 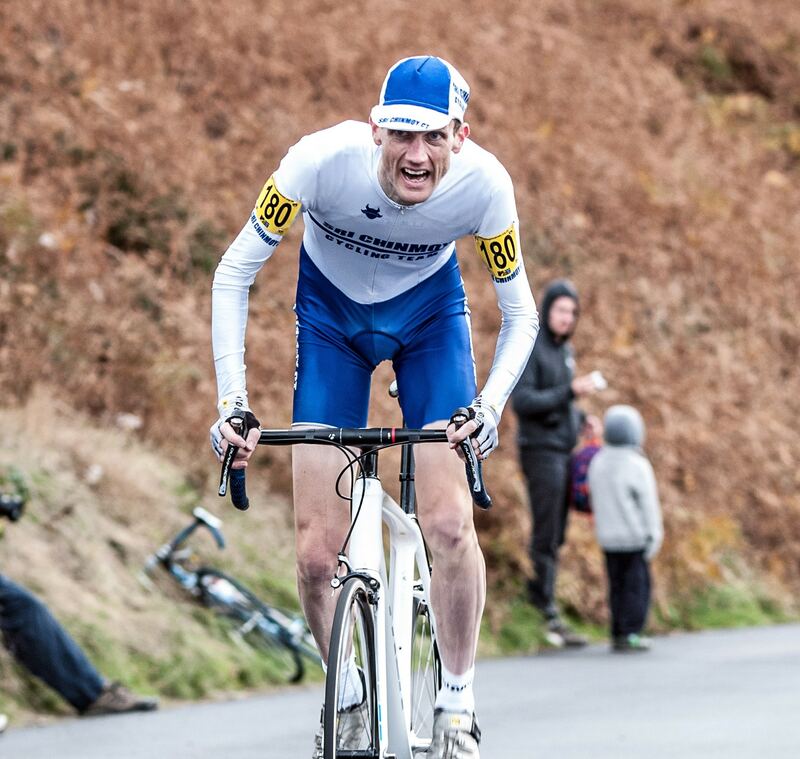 I felt strangely relieved and happy to have finished my 10th national hill climb and another 4th place. Next year is Jackson Bridge and I’ll be looking forward to that. But, I might just have a piece of cake before I go out and get the winter miles in. Also, thanks a lot to Gordon Wright who has kindly been giving me some expert coaching over the past two months. I don’t think I could have come into the championship any better prepared than I was. Note: this is just a personal blog, not a comprehensive report. I will try upload more photos later. Rider One – 1 down, 179 to go. I took a photo of first rider, and then went off to get ready. I wasn’t really in photography mode. 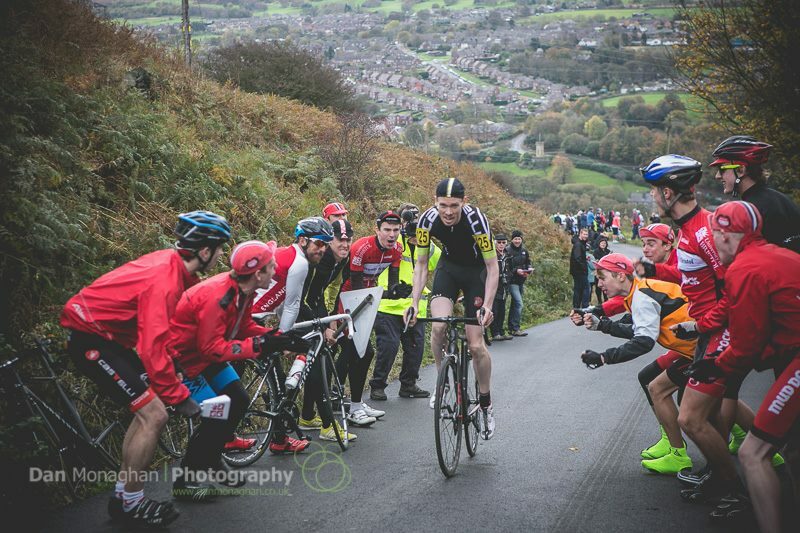 Who says hill climbs need to be a serious affair? A great effort, both today and throughout the season! One quick question. Tajvin, on short climbs your time and watts seem to be as good as top pros. Have you ever done longer european HC or 1st cat climbs? I’ve not been oversees. The longest climb I’ve done is Great Dun Fell in north England. Would like to go to Pyranees one day! Tejvan, super effort! Your determination and absolute commitment I personally find very inspiring in my own riding efforts. And your low key manner and matter of fact commentary but confirms your quite a ‘normal’ bloke. Well done. Aryavan. 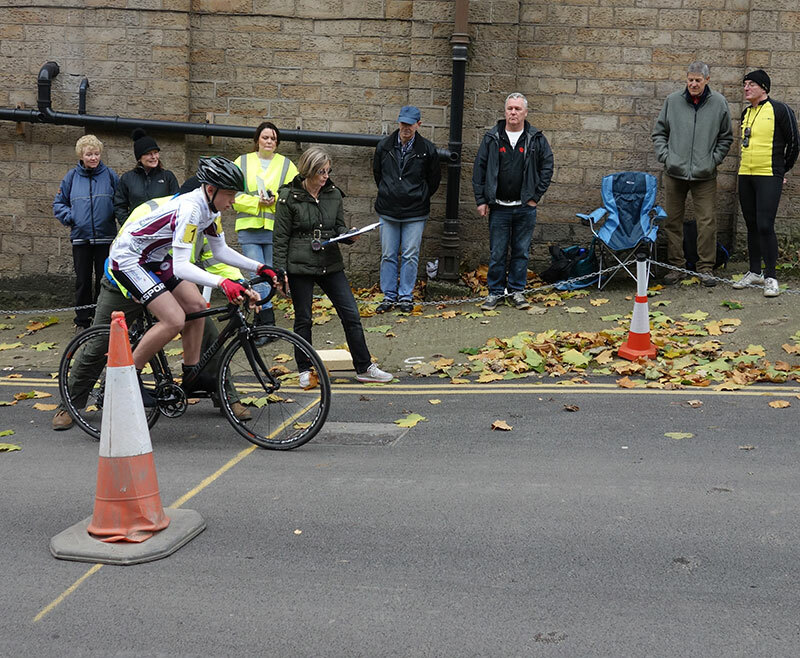 Very inspiring indeed to see you race in Stockbridge on Sunday Tejvan. It was my first attendance at a cycling race and see that you’re all a very friendly group! Since the weekend I have been inspired to get fit on the bike and am looking into the whole cycling world for advice on how best to go about this. Your blog is really good, very well written, and answers so many of the questions I have! Thanks very much for writing it. See you at next year’s race! Well done on your 4th place Tejvan. Look out for my friend Jonny Morris age 22 he came 33rd at 3.57 his first full year on a bike. Thanks for the blog I really enjoy reading it. I don’t think your effort on The Great Dun Fell will be beaten for a long time. 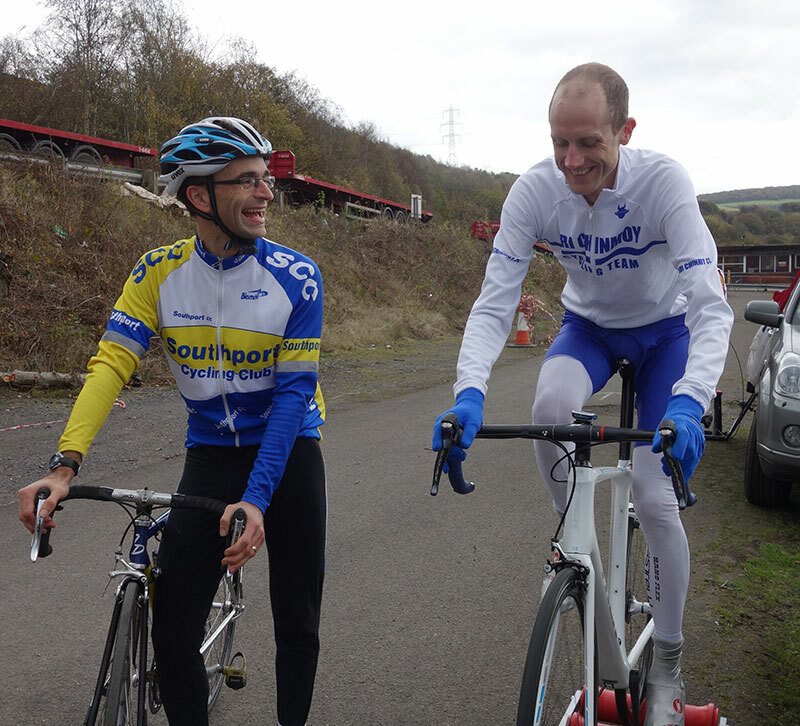 Always enjoy the blog and he references to W Yorks hill climbs especially. Also echo the comments above- its very refreshing to hear a top cyclist speak with so much humility and good grace. Thanks.